Three golfers with area connections have advanced to the second stage of Web.com qualifying. Former Clemson golfers Doc Redman and Phillip Mollica along with recent Alabama grad Jonathan Hardee will move on to the second stage. Mollica, a 2009 Clemson graduate, shot an amazing 20 under par in the 72 hole qualifying event at Grasslands Golf and Country Club in Lakeland, Florida. Mollica finished third in the tournament. Redman, the 2016 US Amateur champion tied for 2nd place at the quaifying tournament played at Highland Oaks in Dothan, Alabama. 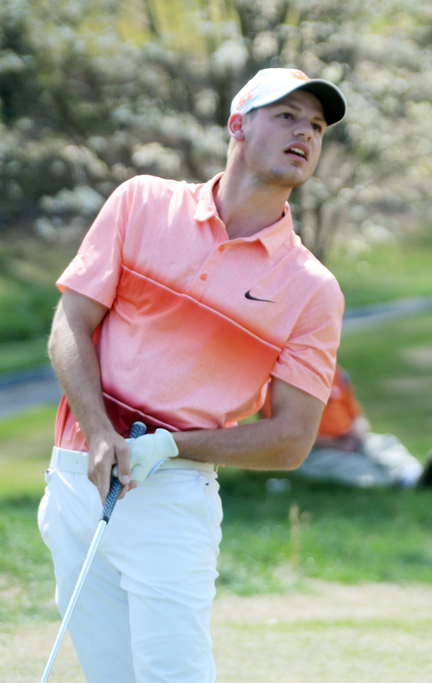 Recent Alabama grad, Jonathan Hardee (Riverside High School), also advanced from the tournament in Alabama. Hardee finished at 11-under par in a tie for ninth place. Former Furman golfer Wehman Hopke finished in a tie for 16th to advance with Redman and Hardee. There are several more qualifying tournaments around the country before the second stage begins later this month. The Q-School tournament at The Club at Irish Creek in Kannapolis, NC will have seven golfers from the area trying to advance towards earning playing status on the Web.com Tour. Andrew Novak (Wofford) Dykes Harbin, Keenan Huskey (South Carolina) Carson Young, Blake Kennedy (Clemson), Bryce Howell (Furman) and Brad Sill (USC Upstate). Callaway Gardens will also host a first stage tournament and four area golfers will be in the field at the ourse in Pine Mountain, Ga.
Matt NeSmith, Mark Silvers, George Bryan IV (South Carolina) and Luke Hopkins (Clemson) will attempt to advance from the tournament. Second stage tournaments begin on October 30th thru November 6th at five locations around the country. All golfers are competing for status on the Web.com Tour for next year.